Everyone loves the arrival of spring; the warm weather, flowers and saying goodbye to the snow! But with the good, also comes the bad…the inevitable mosquito! 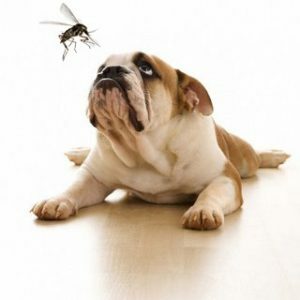 Mosquito’s aren’t only annoying and almost everywhere you go, but they also pose a great health risk to your four legged friend. As soon as the weather starts to warm up, these insects are out and looking for a meal, and it only takes one bite to transmit heart worm disease to your pet. Once infected with this parasite, your dog may experience uncomfortable symptoms. These symptoms may be as mild as a cough or as severe as heart failure and eventually death. So, what is the easiest way to protect your pet? The best method (and least costly) is prevention. Luckily there are now several great products that can be used (either oral or topical) starting in the spring. You only need to administer it once per month, and when the fall comes, you can stop. Furthermore, when the warm weather returns, you can have the extra assurance of a specialized heart worm test. This is a recommended test performed at the veterinary clinic whereby a small amount of blood is used to show us whether or not your dog has been exposed to this disease. The earlier it’s discovered, the better your chances are of treating it. So from now on, you can breath a sigh of relief and continue enjoying the warm weather with man’s best friend.